This Father's Day I think it is equally important to recognize all the grandfathers out there too. After all, there would not be a mommy and a daddy without them. Tallulah's grandparents do not live in Austin so she does not get to see them as often as we would all like. Just because she can't see them in person does not mean she can't see them daily in pictures. 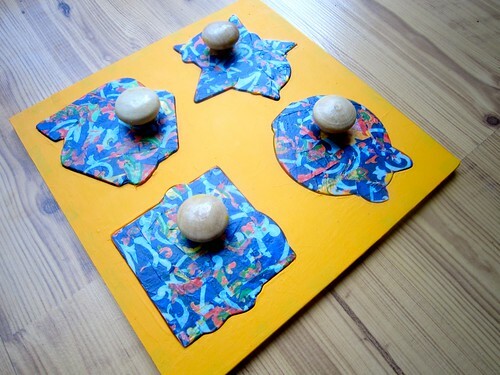 This week on I Love to Create we are customizing a puzzle grandpa (and grandma) style! Choose the pictures you want to use in your puzzle. Trace the shapes of the puzzle pieces onto the photographs with a pen. 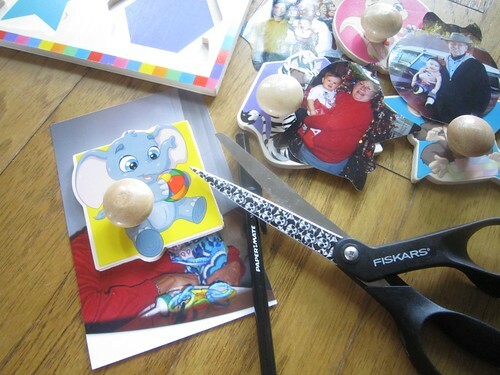 Cut out the picture shapes with scissors and set aside. 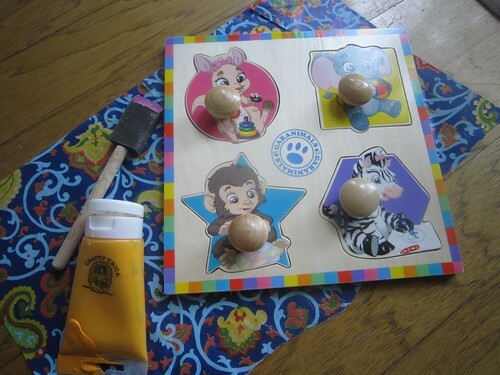 Paint your puzzle using Crafty Chica Little Chica Paint Pack. I opted for a golden yellow, but feel free to get crazy. It took a lot of restraint to not add polka dots. 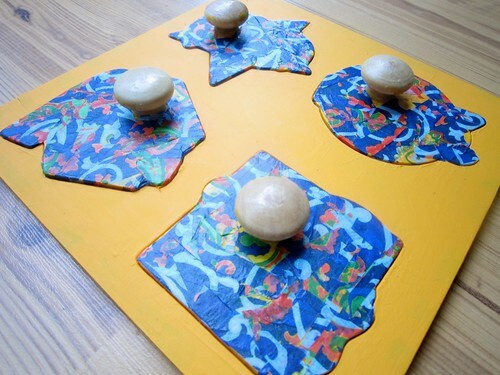 You might need to sand or prime your puzzle first in order for it to take the paint. Also I needed to apply several coats. Using Deco-Patch paper and Collage Pauge I adorned the tops of my puzzle pieces. 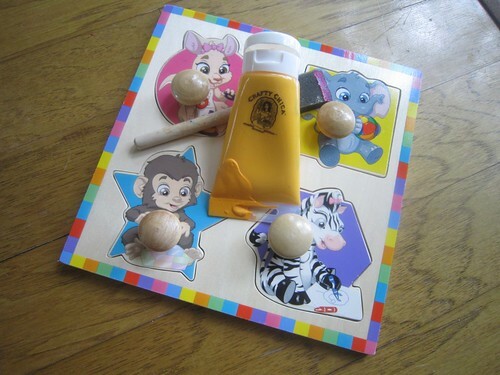 Attach your photographs to the puzzle using Aleene's Acid Free Tacky Glue. 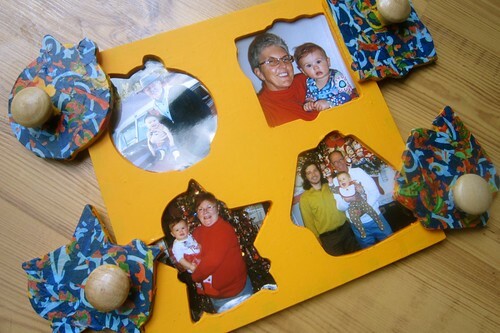 You might also use some decoupage on top of the photographs to protect them from baby drool.